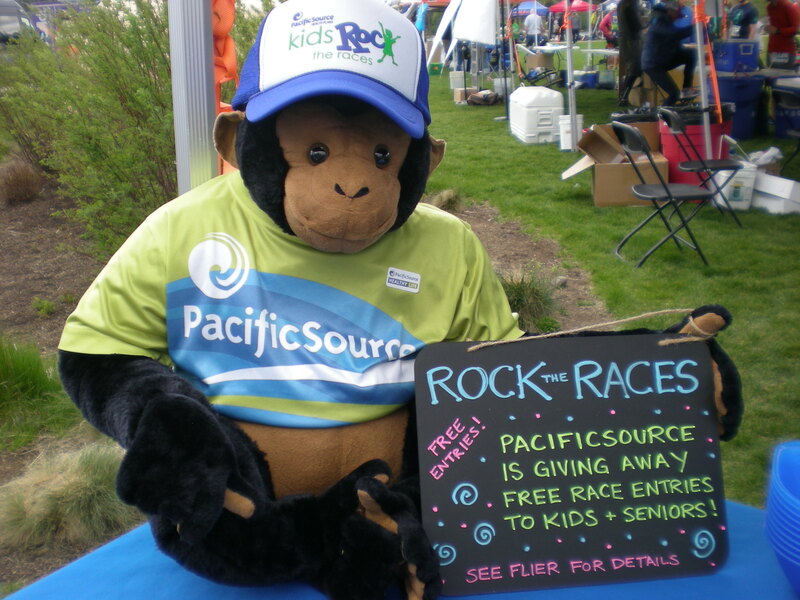 Pete the PacificSource monkey modeling the free hat kids earn after participating in two races. This spring and summer, kids and seniors in Bend, OR have been busy walking, jogging and running through the PacificSource Rock the Races program. We’ve been giving away free entries to a series of kids’ fun runs and 5K races as a way to promote healthy lifestyles and we’ve had a great response so far! We kicked off the season early with the Little Snow Warriors Run at Winter Fest in February. Next, there was a great turn out at the Little Fry Run and 5K at the Salmon Run in early May. (Check out the pictures below.) And this holiday weekend, seniors and kids will be rocking the Happy Girls 5K and Happy Little Kids Run at Riverbend Park. Inspired? Want to get involved? We’ll be giving away 50 kid registrations at three more fun runs and 25 senior registrations at two more 5K races. Keep an eye on our Facebook page for the registration code. May is National Bike Month and guest blogger Amanda spent Boise Bike Week exploring the City of Trees on her bicycle asking people why they like to get out on two wheels. Check out her video! What motivates you to get out and bike?